That title—earned over six decades of public ministry—seemed to suit Billy Graham best. Beloved by presidents and ordinary Americans alike, Graham was one of the most admired people in America. In fact, according to Gallup, he remained one of the most admired people in the country long after his last public appearance. He lived long enough to watch America’s religious landscape be completely transformed. Once a nation of white Christians—and especially white Protestants—America today is more diverse and more secular. Graham’s passing marked the end of an era, as Tom Gjelten, religion reporter for National Public Radio, put it. Here are four ways America and the evangelical world have changed since Graham burst on the scene in 1949. Unlike today’s fractured media landscape, media attention was more concentrated when Graham began his ministry. Graham was able to capture the attention of America’s mass media, which catapulted him to fame. 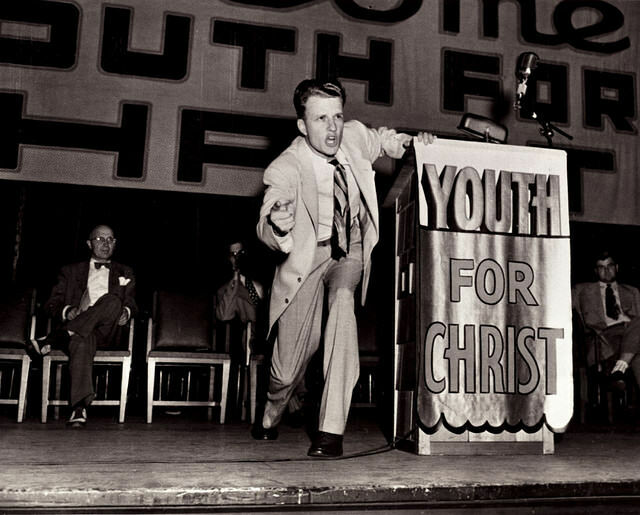 After “Jesus Saves,” the two most important words in Billy Graham’s career might have been “Puff Graham.” That directive from William Randolph Hearst to his newspapers made Graham a household name during his 1949 crusade in Los Angeles. The crusade, which had been running for three weeks, had gotten little media attention, according to The Los Angeles Times. Hearst’s edict made Graham front-page news for his company—and for newspapers and magazines around the country. At the time, Hearst ran one of the largest media companies in the country—but had never met Graham. “Hearst and I did not meet, talk by phone, or correspond as long as he lived,” Graham wrote in his book, Just As I Am. Radio also played a role. Not long after that Los Angeles crusade, Graham was appearing coast to coast on airwaves, according to historian Grant Wacker, author of America’s Pastor, a biography of Graham. “But within weeks his ‘Hour of Decision,’ as it was called, was the most heard religious radio program in the nation, and it remained that way for some 20 years,” he told radio station WUNC. The 1950s were a high point for church involvement in America. Half (49 percent) of Americans said they went to church each week, according to Gallup, while almost three-quarters said they were members of a church or other house of worship. Today, about 1 in 4 Americans say they have no religious identity, according to Pew Research. Only 56 percent of Americans claim to belong to a congregation. Churches and other houses of worship claim fewer than half of Americans (49 percent) as members, according to the 2010 Religious Congregations and Membership study. When Graham started out, most ministry—evangelism, mission, compassionate care—was being done by churches and denominations, says McConnell. So it was easier to harness the efforts of large numbers of Christians. Today, evangelicals and other Christians are more scattered. Major denominations have seen declining membership—today only 30 percent of Americans claim to be part of a Protestant denomination. 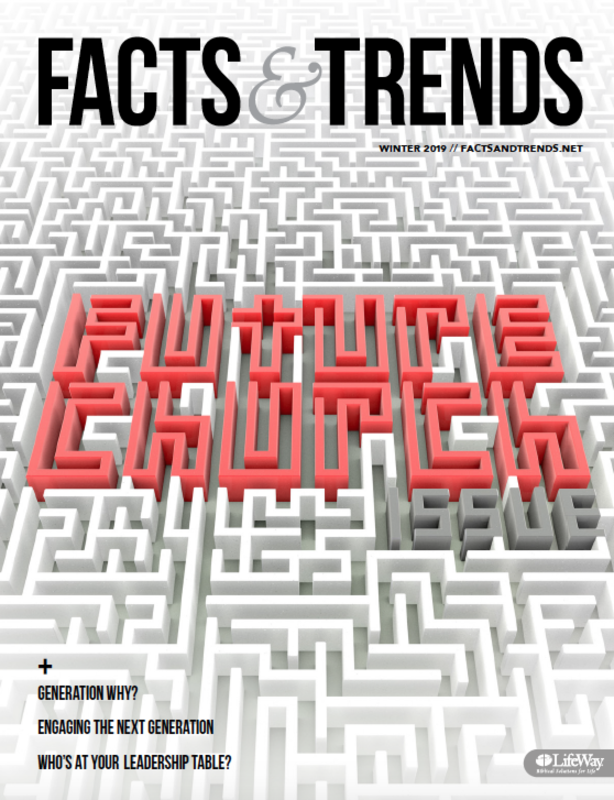 Sixteen percent belong to nondenominational churches, reports Christianity Today. Meanwhile, a growing number of churches sponsor their own mission work—and new parachurch organizations sprout all the time, says McConnell. Graham had a remarkable gift for rallying evangelicals for a common cause, says Ed Stetzer, executive director of the Billy Graham Center at Wheaton College. Today, evangelicals don’t agree on what they believe. And many self-identified evangelicals don’t hold strongly evangelical beliefs, according to LifeWay Research. As the nation becomes more diverse, evangelicals have become divided by race and by politics. That’s led many to ask whether the word “evangelical” still holds any meaning—especially when it’s often used to refer to white evangelicals, says Derwin Gray, pastor of Transformation Church near Charlotte, North Carolina. Ask non-Christians to define the word evangelical, Gray says, and they’ll tell you it means white conservative Christians. Meanwhile, evangelical believers who are African-American, Latino or Asian-American don’t seem to count. “It seems like we get left out of the conversation,” says Gray. Graham began his ministry at the most opportune time. The cohesiveness of evangelicalism and the limited media options allowed him to garner almost instant fame. Without those factors today, Billy Graham’s passing signals the end of an era for religion in America.